Serving as the Data Protection Officer of the bank (DPO), the SM Compliance is expected to support the design, development and implementation of strategies, standards and procedures to support the Data Governance program while facilitating adherence to NMB Enterprise Data Governance framework for data policies, standards and practices. In close coordination with Head of Compliance, develop and ensure the implementation of the annual Compliance Risk Management Plan cutting across Financial Crime Compliance Risks, Regulatory Risk Monitoring, Transaction Monitoring, and Zonal Compliance Monitoring, Training, and Operations. To assist the Head of Compliance in the day-to-day management of the Compliance Department by imbuing and imparting teamwork spirit to achieve desired objectives. Develop relevant Compliance policies, procedures, and processes to support management of financial crime compliance and reputational risks. Overseeing control rigor within the Compliance Department to ensure an optimal control environment within the Compliance Department. Assist to define the bank’s AML & Sanctions Monitoring strategy and goals across the bank, providing direction and guidance on the program. Ensure NMB Bank has relevant policies, procedures, processes, and strong controls to support management of Financial Crime Compliance (FCC) Risks; FCC risks include Money Laundering, Terrorism Financing, Sanctions, and Anti-Bribery & Corruption Risks. Manages oversight and ongoing enhancement for Compliance training programs and ongoing enhancements to Regulatory Change and Regulatory Reporting Management processes. Responsible to ensure compliance to all local and international regulatory requirements: Oversees and supports Regulatory Compliance Examinations. 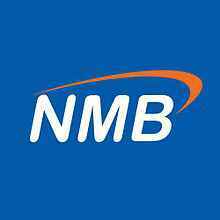 Responsible for ensuring compliance to NMB Code of Conduct, management of Conflict of Interests, and responsible to ensure effective implementation of the bank’s Whistle Blow programs both internal and external channels. Provide leadership to the Volcker attestation, FATCA, GDPR processes and other relevant programs including design of monitoring, testing and reporting. Act as the Bank Data Protection Officer to support bank’s compliance initiatives around General Data Protection Requirements. Manage and coordinate end to end GDPR Compliance Requirements. While also serving as the Data Protection Officer of the bank (DPO) the SM Compliance is expected to support the design, development and implementation of strategies, standards and procedures to support the AML/CFT Data Governance program while facilitating adherence to NMB Enterprise Data Governance framework for data policies, standards and practices. Design & Monitor programs designed to detect, investigate, and report potentially suspicious transactions, fraud, and other possible violations of laws, regulations, policies, and/or procedures. Develop and ensure implementation of annual Compliance Risk Management Strategy cutting across Financial Crime Compliance Risks, Regulatory Risk Monitoring, Transaction Monitoring, and Zonal Compliance Monitoring, Training, and Operations. Maintain awareness of and complete Risk & Control Self-Assessments (RCSAs) for all units, products/services: Ensuring Compliance requirements have been properly mapped against respective Risk Registers. Focus on aligning the NMB Bank’s business operating practices with changes in Global Financial Crime Standards and regulatory risk, and ensure that NMB’s Financial Crime Compliance Framework remains appropriate. Design and implement strategies to identify, assess, and mitigate Money laundering and Sanctions risks facing the bank: enhancing effectiveness and efficiency of monitoring while maintaining ability to address risks. Manages oversight, coordination and enhancement for all Compliance Governance requirements including Compliance Programs, Trainings, Policies, Procedures, Manuals, & Circulars. Support design, implementation and enhancement of AML Transaction Monitoring systems and processes. Drive & lead continuous monthly discussions to support revisions/fine tuning of the bank’s AML & Fraud Transaction Monitoring Rules to ensure rules alignment with the bank’s evolving risk profile. Provide advice and interpretation to various lines of business on Sanctions Regulations and internal Sanctions policy & procedures: Guide team of Transaction Monitoring analysts to ensure timely review and escalations of positive hits to manage risks while improving customer experiences. Assist to oversee and ensure production of timely and effective AML, Sanctions, and Transaction Monitoring-related management information (“MI”) and other applicable information to Chief Risk & Compliance Officer, Risk and Control Committee, Management Audit Risk & Compliance Committee, and Board Audit Risk & Compliance Committee. Provide leadership and support in the preparation of monthly, quarterly, and ad hoc AML & Sanctions risk assessment reports in line with Management, Board, and regulatory expectations. In coordination with Head of Compliance: Lead, motivate, coach, and develop effective team of 17 Compliance Officials. Consisting of 3 Compliance Managers, 10 Compliance Officers, and 4 Transaction Monitoring analysts. Responsible for the performance management of the team, using relevant performance management tools, ensuring timely actions are taken to improve underperformance, to maximize effectiveness of the team. Lead and drive the implementation plans to quantify regulatory impacts and implement actions to address, manage and mitigate impacts of regulatory changes on NMB bank. Demonstrate advanced communication, coaching, and influencing skills with a proven ability to gain consensus from business, support functions, correspondent banks, and regulators. Strong grasp and practical knowledge of key regulatory trends and requirements e.g. FATCA, Volcker, GDPR. Experience of dealing with regulatory matters and confident interaction with Management, Board, and Regulators. Strong understanding of Corporate Governance and the Regulatory Environment. Leadership experience and a strategic thinker. Excellent communication and inter-personal skills, with experience of dealing with executives at all levels including the capacity to articulate the case for risk management and policy in the language of business. 8+ of experience in banking industry or regulatory environment; at least 5 years in AML/CFT, OFAC/ Economic Sanctions, & Regulatory Compliance. Significant experience in Compliance Risk and Operations Management together with business management, from a frontline role in Commercial Banking. Master’s Degree from reputable University preferably in Law, Economics, Finance, Risk Management or close related discipline. Holder of ACAMS Certifications or intention to be certified within six months of employment. Any additional relevant Compliance-related professional certifications are an added bonus.